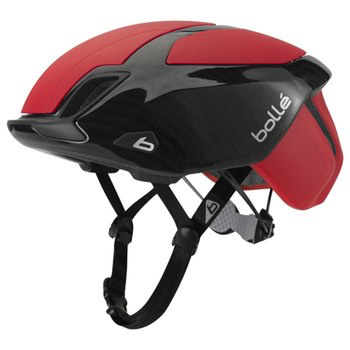 One by name and nature, the Bolle One Premium Road Helmet is a do-it-all helmet that combines the best attributes of an aero race helmet, a climbing helmet and a commuting helmet. 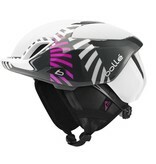 The premium version of the One, this helmet includes the aero shell plates. 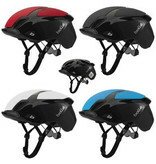 The click-on and off plates cover the front and the top of the helmet to provide a wind cheating aerodynamic advantage or a barrier to the cold wind. On the rear of the One is a neat detachable LED light. This light can be clicked in for commutes or training rides where you want an extra boost to your visibility. The light is touch operated and powered by two CR2025 coin batteries, which offer up to 15 hours of illumination. Designed for use through every season and the toughest weather conditions, the One helmet also includes a detachable winter lining. The helmet's straps feed through bands on the side of this lining to keep it securely mounted to your head, keeping you insulated on particularly cold days. On the front of the helmet the sunglasses garage provides two specifically designed holes to feed the arms of your sunglasses into when you do not want to wear them. This keeps the glasses securely mounted to your head without the uncomfortable temple pressure that can often occur when fitting the glasses inside the helmet vents. The fit has received as much attention as the One's superb exterior features. The Click-To-Fit system allows you to adjust your fit precisely while also eliminating pressure on the rear of your head. Bolle have put a real focus on safety with their cycling helmets and the integrated safety QR code allows any person equipped with a smartphone, that can read QR codes, to identify who exactly should be contacted and what should be done, in the case of an accident. This message is relayed via a pre-recorded voice message.